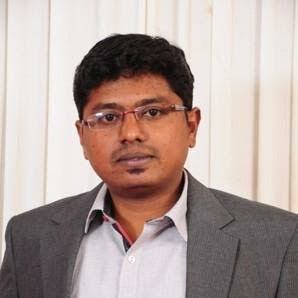 Guest Name: Sathish Kumar Sundaram Manager – social Media Listening and Monitoring, Infosys, Bangalore. Sathish Kumar Manager – social Media Listening and Monitoring, Infosys, Bangalore. He has Seven years of experience working in social and digital media industry. Currently, he is working in Infosys BPO as Operations Manager, leading social media listening and analytics. Worked closely with marketers from Fortune 500 companies both from brand-side and agency-side to develop and execute social media engagement, monitoring, reporting and analysis to uncover consumer behavior patterns. The resource person would provide inputs on significance and role of social media in building the brand image through real-time case studies and industry relevant examples. He would also share the available opportunities existing in the field of social media. Infosys BPO is a global company operating in America, the Asia-Pacific, South Africa, Australia and Europe with 35,070 employees as of January 2017. Infosys BPO is a subsidiary of Infosys and basically an end-to-end outsourcing services provider. The organization has been ranked as one of the leading BPO Company in India by industry bodies such as Global Outsourcing 100, FAO Today, and Nelson Hall.